Students learn and practice strategies for responding to writing tasks during assessment. First they read a poem, then they learn PAST strategy to analyze a prompt about the poem, and they are directed through a shortened writing process to compose an assessment essay. Then they repeat the process independently for a second passage. In this experience, students learn and practice strategies for responding to writing tasks during assessment. First they read a poem, then they learn PAST strategy to analyze the prompt, and they are directed through a shortened writing process to compose an assessment essay. Then they repeat the process independently for a second passage. At the end of the experience, students will self-evaluate their work based on a rubric. You may review the rubric with them at any point during this experience. Read actively to determine the author’s message and supporting details. 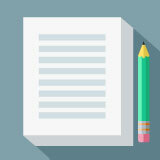 Analyze a writing prompt to determine the requirements of the task. Apply the steps of the writing process to compose a response that adequately addresses the writing task. Throughout the school year you are asked to “show what you know” by completing an assessment, or test, that asks you to read a passage and respond to what you read. In this experience, you will learn and practice strategies that you can use when you are asked to respond to a writing task on a test. You will analyze a writing prompt to figure out what the question is asking you. Using a shortened version of the writing process, you will then plan and write a response for the writing task, knowing that there is a time limit. The purpose of this activity is to let students “be in control” of a test question. If the questions they write are simplistic, then you can make a few suggestions and move on. If students post any interesting questions, take time to discuss them with the class. What can you learn about personal responsibility from the example of Little Bo Peep? Cite evidence from the text. Make a connection to something that has happened in your own life. The sheep teach Little Bo Peep a lesson about personal independence. What can you learn from the sheep? Make a connection between the poem and something that has happened in your own life. Would you like to preview the rest of this learning experience, and get access to the entire functioning ELAR Grade 8 course for your classroom? Sign up using your school email address below.